Wonderment – Amazed admiration, puzzled surprise. 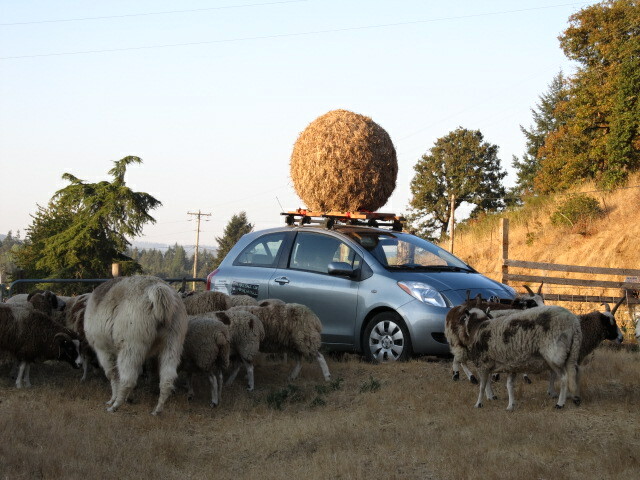 Seeing this car driving down the road, with a big ball of hay on top, would fill you with amazement. 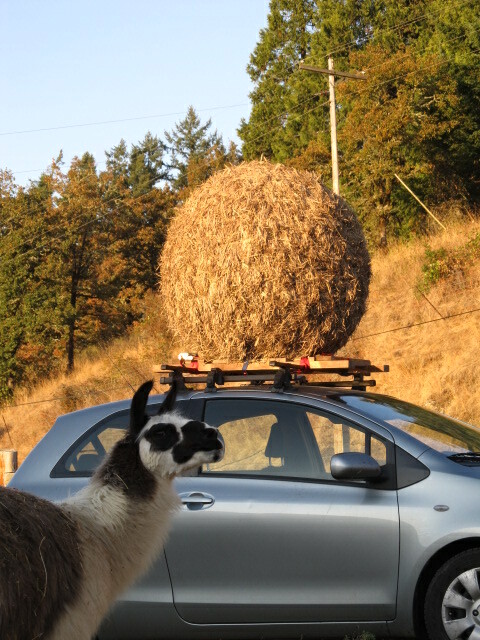 The sheep and llama were definitely full of puzzled surprise. 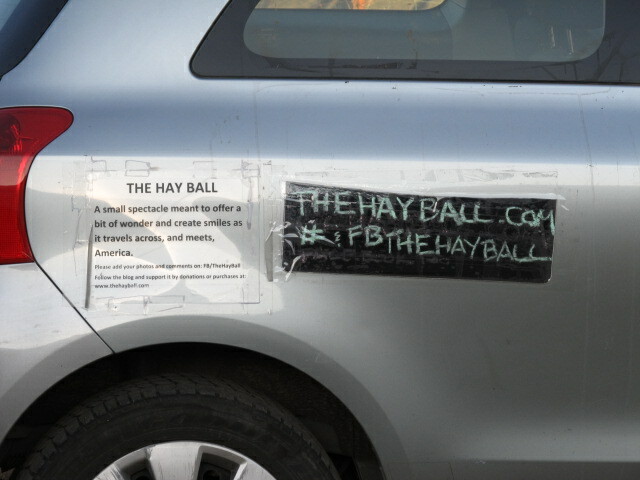 The Hay Ball project is a small spectacle meant to offer a bit of wonder and create smiles as it travels across and meets America. It was created by my uncle and you can visit his blog to see the other amazing art pieces he has made with hay. 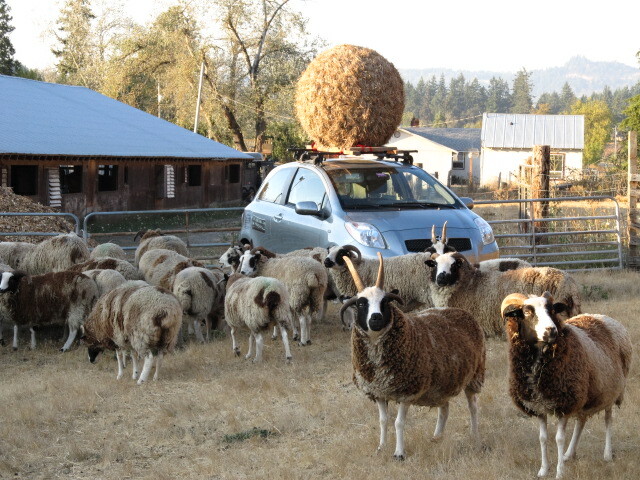 It seemed fitting to do a photo shoot with the sheep and the big ball of hay. The message is simple, but so profound in today’s world of go, go, go. You can follow along on his journey by liking his Facebook page. Creative!! Thanks for the post and the connection! Far out!!! Reminds me of Andy Goldsworthy’s art! Absolutely Hillarious – made my day – thanks for sharing:) Happy Friday! It was a complete joy meeting you and visiting I am honored by your blog and so touched. Thank you.